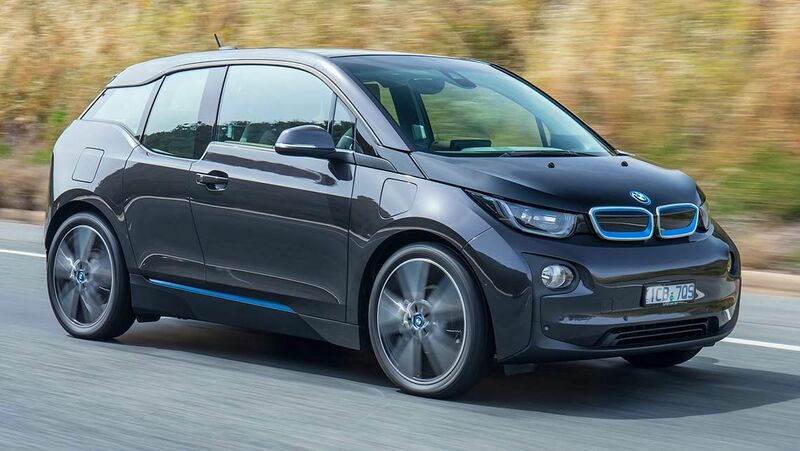 BMW will boost the range of its i3 electric car by about half for the 2017 model year. This summer, the lithium ion battery pack of the compact EV will be improved, "which puts it into a much more usable range," Ian Robertson, BMW AG board member for sales and marketing, told Automotive News at the Detroit auto show. BMW doesn't have the exact figure yet, but a 50 percent increase means about 200 km on a single charge, up from the current 130 km (EPA). The 2017 i3 will begin production in July of 2016 and will use Samsung 94 Ah battery cells. The 2017 i3 needs the increase in range to compete with the 2016 30 kWh Nissan Leaf with 250 km range and the upcoming Chevy Bolt, which will have a range of 300+ km. The i3 went on sale in the U.S. in the spring of 2014 and has a base price of $43,350 including shipping. A model with a range extender is also available -- with about double the range -- and starts at $47,200 including shipping. Those prices are before tax credits. BMW sold 24,057 i3s worldwide last year, an increase of 50 percent from 2014. In the United States, BMW sold 11,024 i3s, up from 6,092 in 2014. Nearly 60 percent of those were with the range extender.